To achieve this, we need two simple events that will move the door game object on Trigger Enter and Trigger Exit event interactions. In this tutorial, we’ll create an automatic door that slides up and down – you can create other doors the same way with a different event setup, e.g. sliding them sideways or use a Rotation Step to rotate them open instead. This event is used when the player enters the trigger of the door and will move the door upwards. The event and the door will be two separate objects, allowing us to use the event object as reference position for the door movement. Open the ORK Framework editor and navigate to Events. Click on New Game Event to create a new game event. We need two actors, click on Add Actor to add the first actor. Click on Add Actor again to add the 2nd actor. Set to X=0, Y=4, Z=0. This will move the door upwards by 4 world units. And that’s it for this event – click on Save Event and save it as doorUp in Assets/Events/Scene/. This event is used when the player exits the trigger of the door and will move the door back to the original position (i.e. the event’s position). Since this event is the same as the other except for one single setting, we’ll just edit the previous event and save it as a new event. And that’s it for this event – click on Save Event As … and save it as doorDown in Assets/Events/Scene/. Set to X=0, Y=350, Z=0. Add a Box Collider component and change the following settings. Set to X=8, Y=8, Z=8. 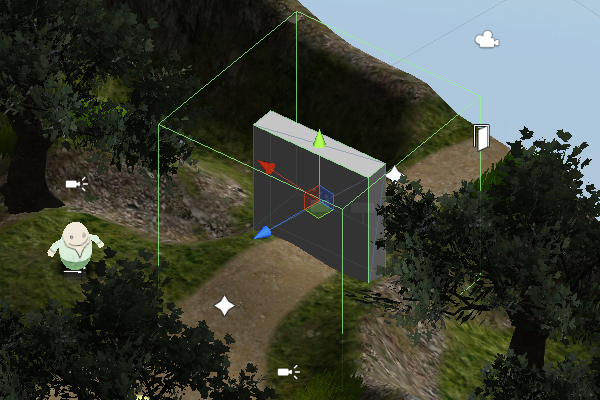 Make the new cube a child object of the Door Event game object by dragging it onto the event object in the scene hierarchy. Now change the following settings. Now, select the Door Event game object again and add an Event Interaction component. Click on Ok and change the following settings in the interaction’s inspector. The event will also be executed when the control is blocked, e.g. during scene change. Select Door (game object in the scene). Add another Event Interaction component. 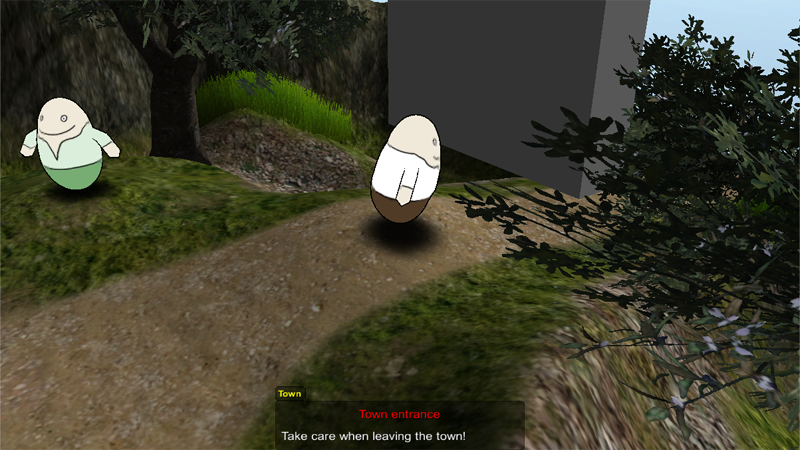 Now, when playing the game, the automatic door will open and close each time you enter or leave the town. Your automatic door should only open when the player has a certain item, e.g. a keycard? By adding a check step (e.g. Has In Inventory – searching for a keycard item) before the door’s movement, you can keep the door closed when the item isn’t found.